Kathleen Roy knew something was up with her young son, Adrian, but didn’t know what it was. He wasn’t communicating as she expected for his age. Did he have autism? Was it a speech delay or something else? Kathleen and her husband were on pins and needles for a year waiting to find an answer. When Adrian was diagnosed with autism, she was given a bunch of paperwork that included information about St.Amant. She attended an information night for parents that explained all of the options available for supports and knew that St.Amant was the path they needed to take. 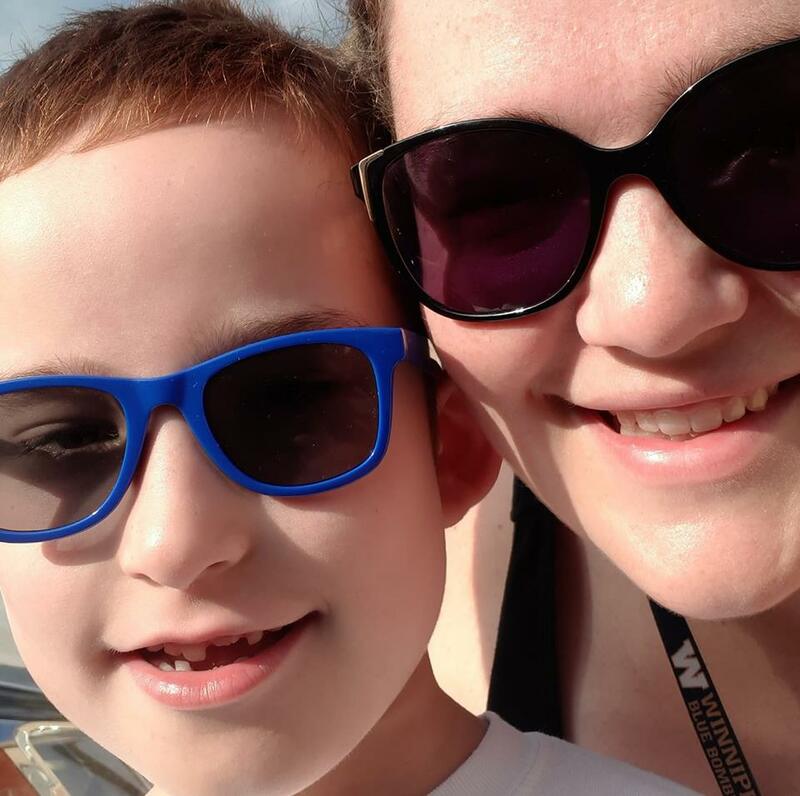 “When he was first diagnosed, Adrian was uncomfortable being out in public whether it was at our church, or grocery store; he would scream almost the entire time. He’d cover his ears, he just didn’t want to be there. But then after working with St.Amant, we learned how to help him through the things that made him uncomfortable and we were able to start going to more places and start enjoying life again,” said Kathleen. When Adrian first started the program, he had a hard time sitting still for any more than about 30 seconds. St.Amant staff and Adrian’s parents started teaching him in a way he understood how to sit still for 30 seconds, and then 45 seconds, and then a minute. He was also unable to communicate with words but St.Amant staff taught him to speak. Within the first week of working with his tutor, Adrian had taken major steps toward becoming verbal. “It was like his behaviour took a total 180. I can’t even begin to think about what our life would be without it. We got everything that we needed, and so much more and it’s been a blessing to our family,” said Kathleen. After completing the program, Adrian was old enough to begin school. Transitions can be challenging for Adrian, so attending school was a bit of a bumpy start. However, St.Amant staff provided Adrian’s school with insight into what he was like before school, and how to help him so that he can succeed. Kids like Adrian are at the heart of the month-long Manitoba Moose Autism Awareness campaign. Thanks to the support and generosity of fans throughout the past three seasons, the Moose have been able to contribute to St.Amant’s programs and resources that are so needed by families like the Roys. The 2018-19 season marks the fourth annual Autism Awareness campaign, which continues through the March 15, 17 and 19 Moose home games. The plush teddy bears sporting mini Autism Awareness jerseys sold out in the first week, while the raffle for five of the game-worn jerseys will continue until the end of March. Proceeds from both promotions go towards the St.Amant Foundation. Fans still have a chance to bid on the game worn puzzle piece-themed jerseys that players wore at the march 9 Autism Awareness game to be a part of this year’s fundraising efforts. Get your tickets now at moosehockey.com/tickets.